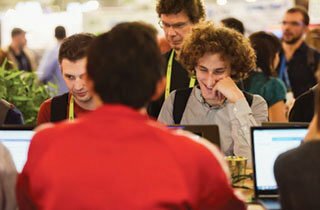 SC18 is the world’s largest marketplace for HPC and networking professionals, attracting scientists, engineers, software developers, policy makers, corporate managers, CIOs, and IT administrators from universities, industry, and government agencies worldwide. For exhibitors, no other event provides such extensive opportunities for exposure and in-depth interaction with key audiences as more than 12,000 attendees from around the world convene in Dallas to discover the latest innovations in HPC, networking, storage, and analysis. Attendees return to SC year after year to be introduced to the most advanced developments in their industries that will keep them at the leading edge in their professions. High performance computing is responsible for powering aerospace, advanced manufacturing, finance, green energy, artificial intelligence, and machine learning. Learn more about SC18 and why your company or organization needs to exhibit below, or view the SC18 Exhibitor Prospectus (Download 1 MB PDF). Entrepreneurs launching businesses today gather and work in coffee shops. Join us at the Startup Pavilion, where you will find HPC’s leading startups. This will be conference attendees’ chance to engage with the founders of these companies. The low price point allows your organization the full scope of the SC18 audience without the full cost of exhibiting. Internet, electrical, and furniture are included in your space. Your organization simply shows up with your technology ready to demonstrate. The smaller venue allows your space to be staffed appropriately, without the expense of having to send too many people or impacting your ability to keep projects on track. SC builds and delivers the most powerful network on the planet on the exhibit floor. A showcase for innovative applications of high performance computing, networking, and storage from research institutions — universities, national laboratories, and nonprofit research centers — on five continents. Industry exhibitors have a special opportunity to present their R&D breathroughs in our popular Exhibitor Forum series. Use SC18’s exclusive marketing opportunities to increase your exposure and reinforce your sales message. 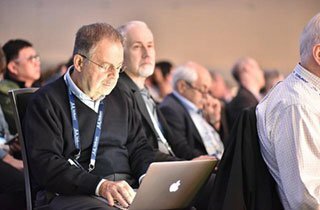 SC18 hosts and promotes the largest, most comprehensive online resource for organizations in the high performance technology industry: the SC18 exhibitor list. Dallas is a modern and sophisticated city which attracts worldwide travelers, making the area the number-one visitor and leisure destination in Texas. Dallas’s special entrepreneurial atmosphere has turned it into one of the fastest-growing startup cities in the world. Startup teams have begun to realize what Dallas-based large corporations and Fortune 500 companies have known for a long time: Texas is the most business-friendly state in the nation. For more on our host city, Dallas. The SC exhibit floor is our favorite place to reconnect with longtime customers, make new contacts, and showcase our ever-evolving products and solutions. *All booths must be fully set up by noon on Monday. *All booths must be fully torn down by noon on Friday. Contact Exhibits Management for exhibiting information, or for advertising and promotional opportunities. Interested in receiving the media list? Exhibitors have exclusive access. Fill out an application and become an SC exhibitor today. View a PDF floorplan of the SC18 Exhibits space available. Information on exhibitor sleeping room blocks and function space, including deadlines for early-assignment, allocation, occupancy lists, and more. 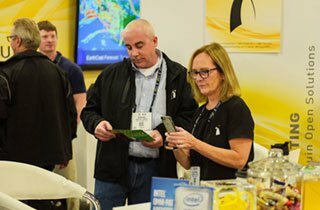 The exhibitor’s resource for the successful implementation of your SC18 Exhibits plan. Whether or not you’re an SC exhibitor, find out how to reserve a table and recruit today’s brightest talent. An excellent opportunity for small companies to be part of SC.